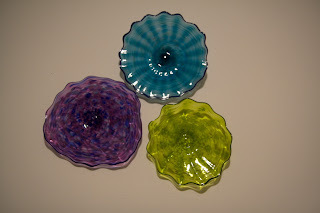 Meyer Lemon Designs: New Glass Art Installation!! A special package arrived for me in the mail today! 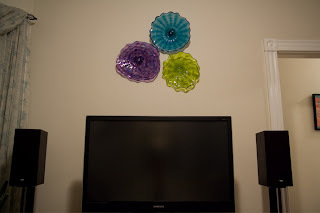 It was the highly anticipated glass wall sculptures that I commissioned. I discovered this amazing artist a few months back named Darren Goodman. His artistic glass creations are stunning! I immediately fell in love with the vibrant colors and fun designs. 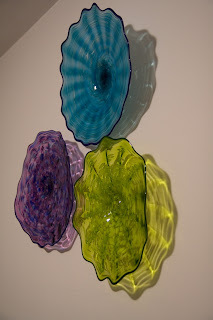 Here are a few pictures of the wall sculptures installed in our living room. We're totally excited!! Now, we just have to keep the cats away! Did I mention, I'm totally excited!! !